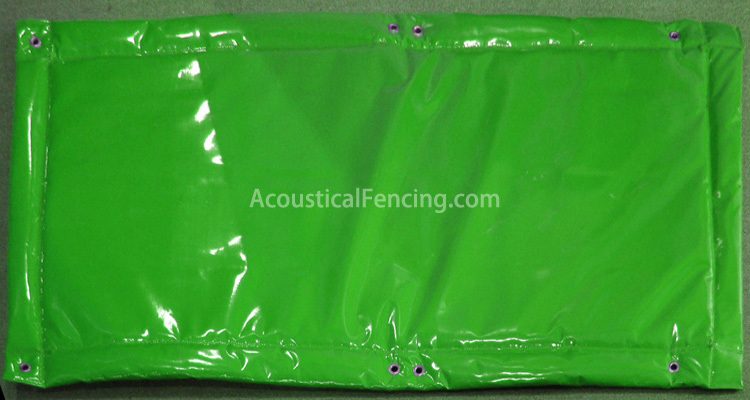 Outdoor acoustic panels are usually used for exterior wall soundproofing such as outdoor construction site, exterior events noise control. Our soundproof outdoor wall offers the benefits of both a noise barrier and a sound absorber for outdoor applications. 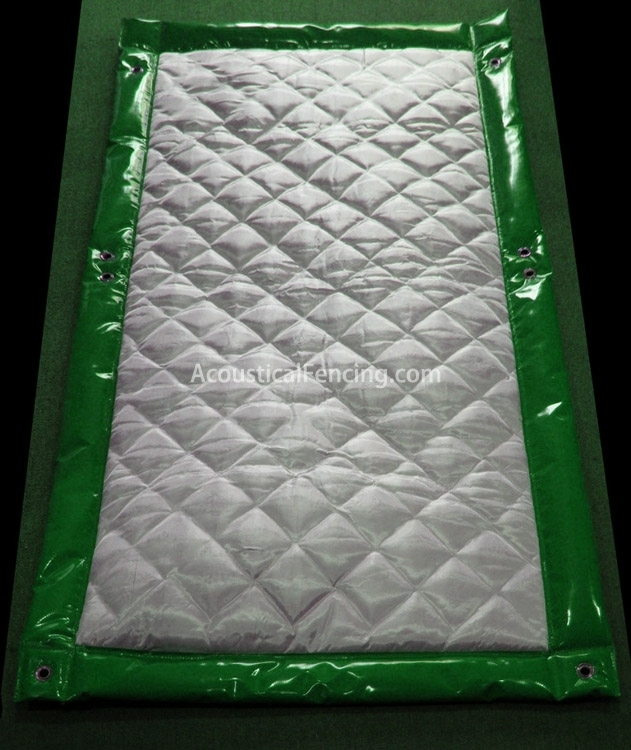 This barrier backed product consists of an exterior grade, UV resistant heavy-duty faced quilted 50mm thick polyester wool absorber bonded to 3mm thick reinforced loaded vinyl barrier. The heavy-duty facing is a vinyl coated fabric, quilted to the sound absorber rather than the standard facing. Outdoor acoustic panels are constructed with grommets across the top and bottom and exterior grade Velcro seals along the vertical edges, and are sewn with exterior grade thread. 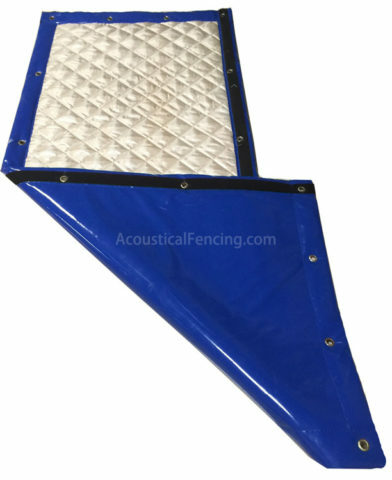 Typically used as exterior acoustics solution on construction projects sites or permanent outdoor applications such as enclosing HVAC equipment, soundproofing exterior walls road noise, dust collectors or similar machinery behind a manufacturing plant where UV and abuse resistance as well as maximum durability, longevity and outdoor acoustics control is required. 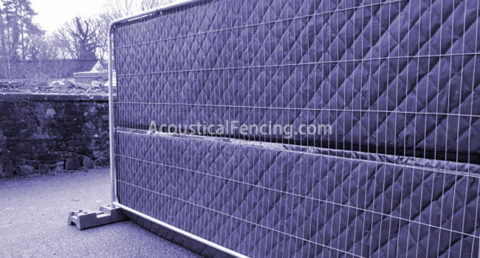 The outdoor fencing are also available with a 50mm thick quilted polyester wool absorber, or with a 3mm thick reinforced barrier.